Foliage: Leaves are thin, linear and elongated, 7-15 pairs. Flower: Solitary flower, on occasion up to 2 or 3, at the tops of the stems, with five petals, fused for one-half of their length. The flowers grow upright, opening in the sun. 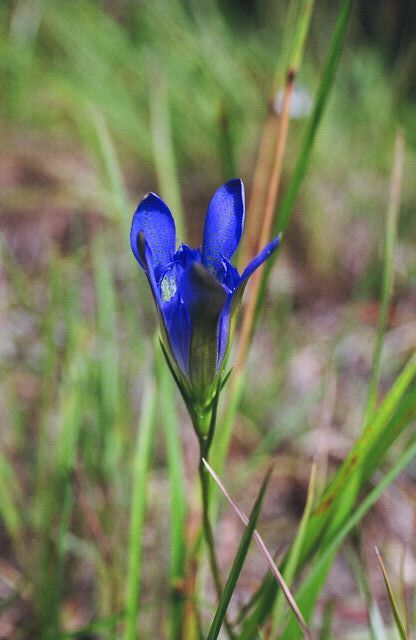 Striking shade of deep indigo-blue petals; the throat has white-greenish stripes and spots. 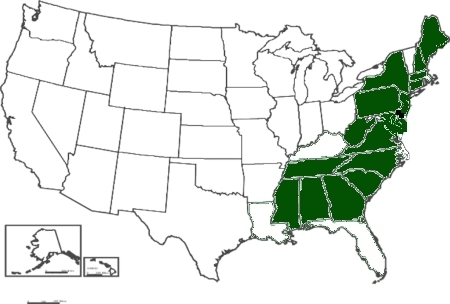 Habitat: USDA lists as Facultative wetlands species: Usually occurs in wetlands (estimated probability 67%-99%), but occasionally found in non-wetlands. Misc. 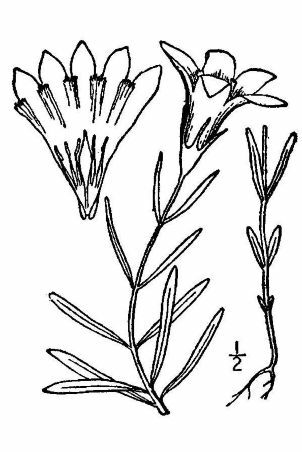 It was discovered by William Bartram, who sent a drawing of it to Edwards, a British naturalist, who published it in his Gleanings of Natural History as the "Autumnal Perennial Gentian of the Desert", but it was not properly named until 1971, and then from the Pine Barrens of South Carolina. On very rare occasion this plant may be found with white corolla or white in green (albescens) or white and blue (albocaerulea) or purple or lilac (Porphyrio).